Does your child love trains? 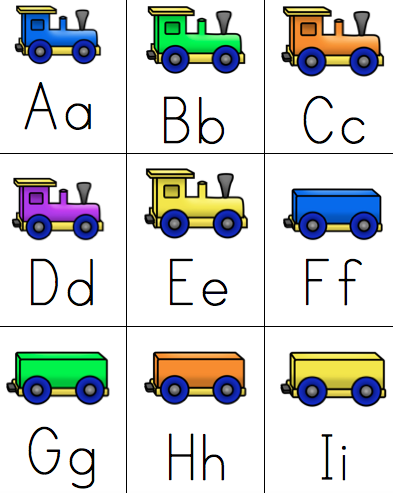 We love this train alphabet game! It is fun to play and easy to set up. I stick this game in my purse and pull it out when traveling or waiting at restaurants. 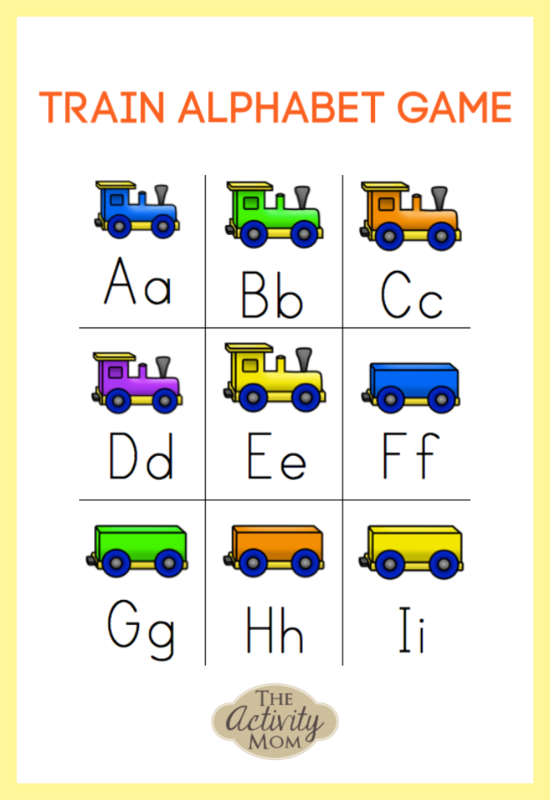 You can use this game to identify letters or even letter sounds. Download (link below), print, and cut out the alphabet cards. Put the cards face down in a pile. On your turn, pick a card. Say the letter on your card (or letter sound or something that starts with that letter depending on skill level). When someone picks the card that says “You Win”, they win and the game is over! This game is quick which allows for you to play multiple times (and have more than one winner). Kids love the pace of this game and don’t even realize how much they are practicing as they play. 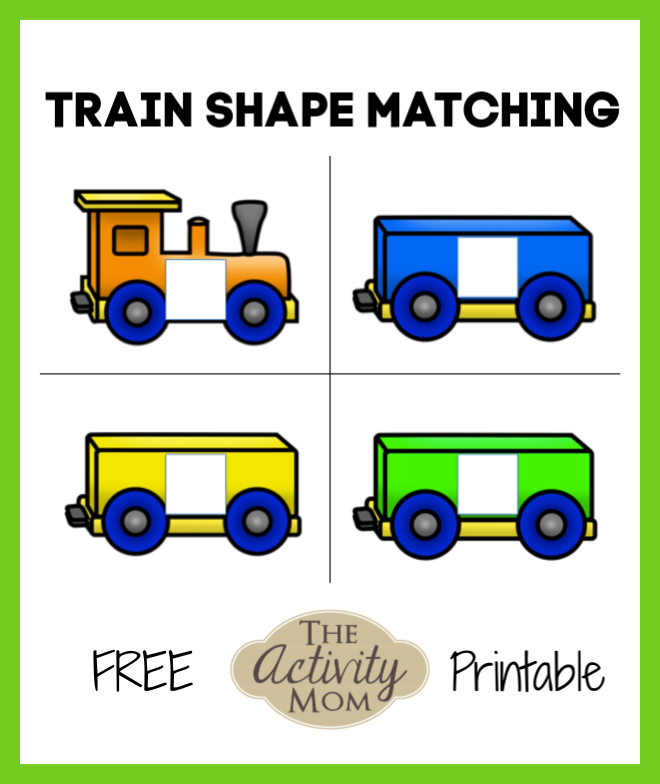 You will also love our Train Shape Matching Activity!